The Words of Comandante Tacho, at the opening of the EZLN Encounter with the Ayotzinapa Caravan, November 15, 2014. 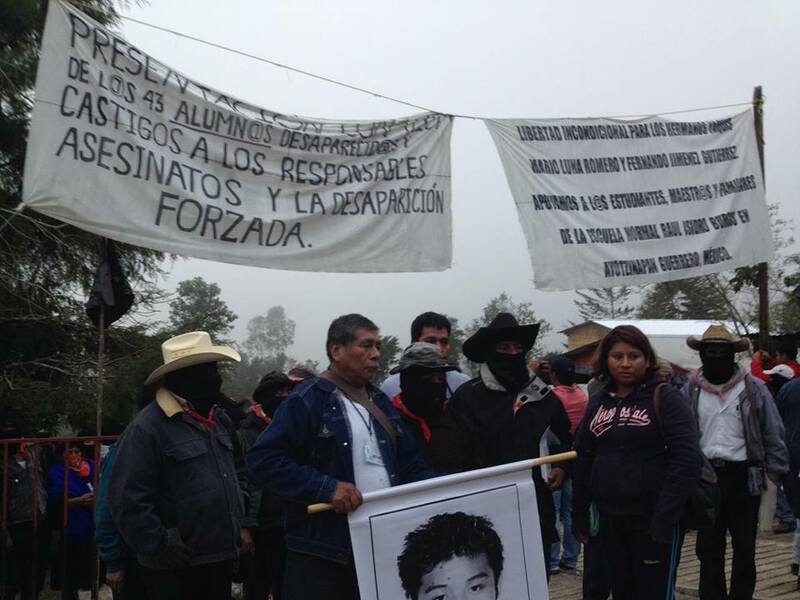 Fathers and mothers of the disappeared students from the Escuela Normal “Raúl Isidro Burgos” in Ayotzinapa, state of Guerrero, Mexico. To the students and to all of those accompanying this caravan, and everyone gathered here. In the name of the boys, girls, young people, men, women, and elderly of the Zapatista Army for National Liberation, we welcome you to this Caracol of Oventik, Caracol II, Resistance and Rebellion for Humanity. We the Zapatista Army for National Liberation want to hear your words of pain and rage, which we share. We are not concerned with whether municipal presidencies are burning, nor with how many cars, doors, or palaces have been burnt. What we want to hear is your pain, your rage, and the angst that comes from not knowing where your young students might be. We also want to tell you that we Zapatisas have been accompanying you in the protests and mobilizations that have been held in Mexico and in the world. Though our acts of pain and rage do not appear in the paid media, we want you know that we have joined you with real and true actions. This is why we want you to speak to us, and why we want to listen to you. If we had known a few days earlier that you were coming, there would have been many of us here to greet and listen to you, many more than are here now. You can’t imagine the number of people who would have come. Those of us who serve as representatives here today receive you with all of our hearts to listen to your pain and your rage.